Heh…thought these were good, from Ace. Not really. Comparisons of the Democratic party now to the KKK and the Dixecrats is pretty weak. I prefer more sophisticated trolling. How so? Both generations primarily judge people’s worth by the color on their skin? The modern Democrats are more communist than racist. Both generations primarily judge people’s worth by the color on their skin? Bingo. And they both seem to tolerate, if not enjoy, physical confrontation and coercion against those they disagree with. Identity politics is essentially racism 2.0. All of the ugliness, but with the new feature of being much more broadly and flexibly applied to almost anyone, for any reason, at will. To the point where a white dude and can yell and harass a black woman not for being black, but for being A WHITE SUPREMACIST. And thus, a white dude going all Bull Connor on a black woman in public is somehow social justice. Racism 2.0 is much more versatile. Not that that particular feature-upgrade isn’t starting to manifest of the right, as well. I think the bottom one is right on. At least, it resonates with me. Anything that uses the KKK falls right into Godwin territory for me, so I don’t think much of the comparison. Particularly because the antifas are just aspiring fascists and perverts with very little to lose and very little personal investment in the way things are, while the KKK-era dems were that way in no small part because of their investment in the way things were. But they were also douchebags wanting to be better than everybody else for fake reasons and folks easily hypnotized by #fakeNews (in that case, Birth of The Nation) so . . . similarities, too. 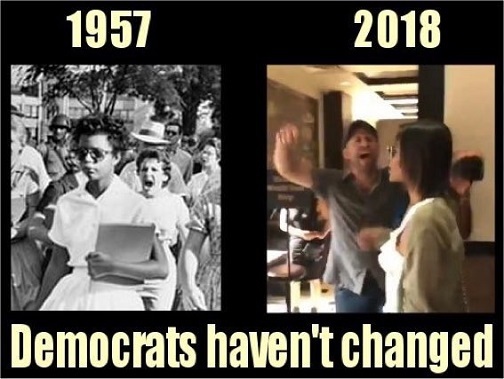 But I’ve seen the KKK=Democrats thing so many times now. It’s just not very punchy. I vote for the bottom one. Yes, I really did think they were good. Comparisons of the Democratic party now to the KKK and the Dixecrats is pretty weak. I prefer more sophisticated trolling. I guess everyone has their own tastes, but I think putting a mirror up to the left and showing it how remarkably similar it is to the very kinds of people they not only claim to be against but so enjoy accusing others of being is always worthwhile. There may be a sense of catharsis for for the person doing it, but pretty much everyone dedicated to their lefty-or-liberal tribe is going to have (unbeknownst to them) their cognitive-dissonance shields at 100% max, and no introspection will occur. The admittedly inflammatorily named “Liberal Fascism” by Jonah Goldberg (as you know) makes a great and detailed case as to how so much of what the left is ostensibly against now, they were totally for, at that laying fascism and Nazism at the feet of the right is simply wrong. Yet the left’s response was predictable accusations of lies and general caterwauling. Although many of the online reviews suggests they never, in fact, read the book, but were just responding to the name. Still. He makes the point (and it’s a great one) that the only reason that liberals are always on the right side of history, historically, is that they inevitably appropriate the correct side, often long after the fact. The rewrite history so that Nazis and fascists and Eugenicists were right-wingers, and behave as if a direct line can be drawn from those formerly leftist positions to the modern right. 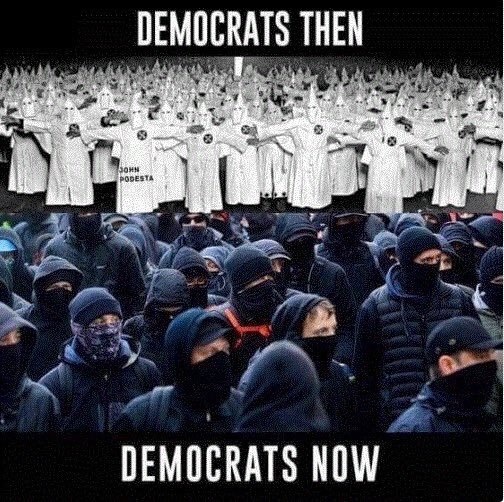 And, not without reason, Dems and liberals respond to the “the KKK were all democrats” thing with the same sort of yawn that “Republicans are Hitler” gets from the right. Thought it’s hard to capture Woodrow Wilson’s progressivism and it’s inspiration to the early 20th century KKK movement, which was largely a progressive phenomenon, in a meme. No one is doing it in an effort to convince anyone of anything. As jnc rightly pointed out, it’s just trolling. Dems and liberals respond to the “the KKK were all democrats” thing with the same sort of yawn that “Republicans are Hitler” gets from the right. I wonder. The right yawns at the Nazi references because a) it is obviously overwrought hyperbole and b) it’s been overplayed for going on 50 years. I suspect the KKK references strike a different chord for the left because, well, it actually is true, and they know it. If this is really your position, then you’ve been too disconnected from the left for too long. That’s not what they think at all. And in this case they are right if you look at who David Duke supports these days. I'm not talking about how they view themselves today. I am talking about the historical fact that the KKK were all Democrats. I'm pretty sure most people on the left are aware of this fact, and probably don't like it. Hence the trolling value in bringing it up. Not really. It’s too easy to point to the Dixiecrats like Strom Thurmond switching parties after the Civil Rights Act passed, and thus pretty much backfires. It’s a troll, for goodness sake, not a serious argument. I’m not sure most of them do (I think they are actually convinced of their typical position: that “democrats” (they don’t ever seem to get deep into it enough to characterize the 20th century KKK as a progressive project) were actually the conservatives of the time, and so . . . what’s in a name? Again, goes back to liberals always being on the “right side of history” because they appropriate the present-day consensus views of past disputes during their revisionism. Anyway, as trolling, it’s fine, but I’ve seen enough “the KKK were the Democrats” to last me, personally. A card to be played only when a particular naif argues that the GOP started the KKK or something. When the APC drove down Richmond, VA, the inside joke among vets was that yet another officer had gotten lost on a a land navigation exercise. And sure enough he turned out to be a First Lieutenant. Edit: Snark aside, the column is spot on about Libya and also the fissures between Eastern and Western Europe. I was going to say, I think he’s spot on about Libya. And identifies the fissures between Eastern and Western Europe without really addressing the fact that the E.U. has not really helped that, and perhaps arguably makes them worse. As for the rest, there seems to be a lot of mind-reading and fortune-telling, neither of which are human beings actually all that good at. Indeed. Don’t know what it will be, but I will say what the establishment GOP was never going to attract any African American voters. Maybe Trump’s larger-than-life personality will turn the trick, at least by a few percentage points. Her name is Robert Paulson. Her name is Robert Paulson. Her name happens to be “Openly Gay Dem Native American Woman”. Don’t judge! You can’t judge! Also, are we sure she’s not a transwoman? I mean, bone structure. I’m just sayin’. Twitter refuses to ban Alex Jones because he didn’t violate their policies. If you aren’t with them, then you are against them. Funniest revelation in the article…Twitter has a “Safety Team”. This problem [of hate speech online] — and that’s too light a word — reveals that social media was a bad idea in the first place, and there really is no fixing it! The left is cannot stand the fact they cannot have sole possession of the megaphone. They detest that. No one is forcing them to participate. Delete your accounts if it’s so bad. @brentnyitray: “The left cannot stand the fact they cannot have sole possession of the megaphone. They detest that. This doesn’t surprise me, and almost every spoiled and entitle group in history has been like that, just like spoiled, entitled people get irritated when other people have opinions about anything. 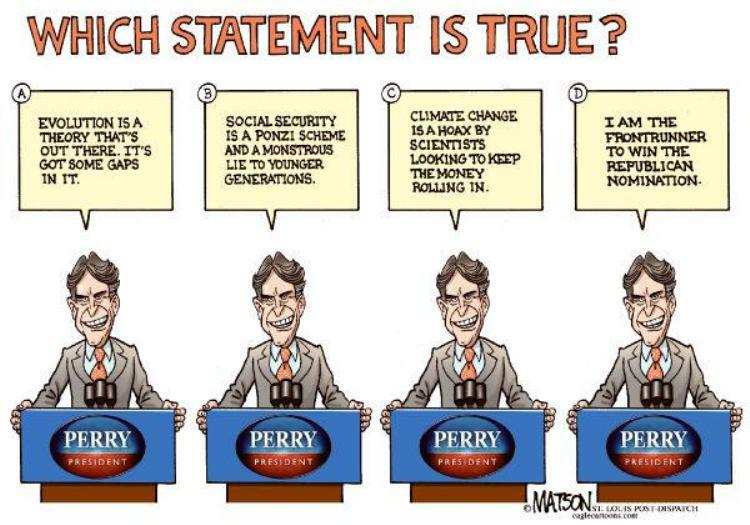 What I find a little odd from the “smartest people in the room” and lovers of science is that they think investing any energy in this at all can possibly be productive. They are not going to be able to monopolize the megaphone. They can encourage people to self-censor and exist only in their own bubble, and they can financially impact those who depend on advertising, like Jones, and make them scale down potentially, or find other platforms. But they aren’t going to take sole possession of the megaphone again. They need to focus on infiltration, as they’ve done at colleges and in philanthropical foundations. That’s they’re best angle. See Scott, that’s how you troll.